"If being crazy means living life as if it matters, then I don't mind being completely insane." Safe. Being safe. What is "safe"? Is "safe" familiarity? Is it repetition? Is it predictability? The sentence "a safe choice" can mean something good or something bad. Usually it's something bad. 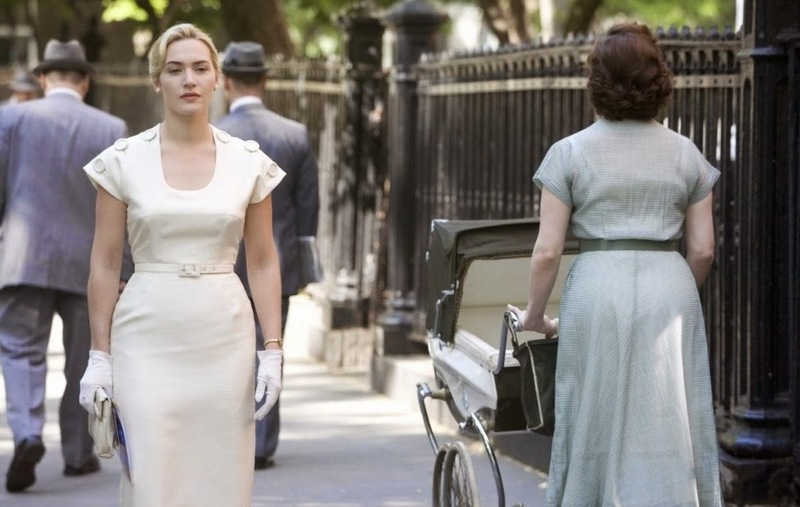 Revolutionary Road (2008) is one of the most depressing films ever. Somehow whenever Kate Winslet and Leonardo DiCaprio come together, they create a beautiful tragedy. If I ever become April Wheeler (Kate), a suburban housewife who has lost all her dreams and ambitions to her marriage and children, I will die. Her wardrobe is lovely though. Costume designer, Albert Wolsky, has created some iconic looks in Grease (1978), Manhattan (1979), Sophie's Choice (1982), Runaway Bride (1999) Galaxy Quest (1999) and Across the Universe (2007). Such diversity. Was it stylish for you? Teenage Rebellion: The Girls of All I Wanna Do / Strike!